The first thing on my agenda is to let everyone know that our new website became live on March 1st. YeeeeeHaaaaaaaa! It has been a long job. If you find anything that does not seem right, please let us know. Perhaps this is the time to thank everyone for their time and help. Thank you!! It is now spring and before we know it summer will be upon us. Well, aromatherapy is now getting more well known all over. However, some people are not getting the necessary information on how to use essential oils safely. 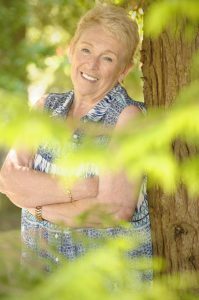 In my opinion, people are getting seduced by the wonderful aromas in essential oils and are not considering the oils properties, possible uses or side effects. There are many, many essential oils so of course there are many different aromas as well as a wide range of prices. Sometimes our customers call or email us looking for oils to use in a particular situation or in a certain recipe. 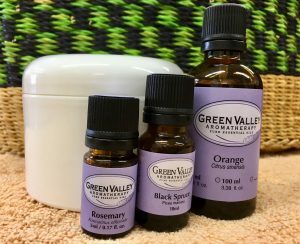 If the essential oil they are looking for is quite expensive, we can offer alternatives that are less expensive but have similar properties or aromas. For example, if Neroli is called for, an alternative would be equal parts Mandarin and Petitgrain. This would give similar properties and aroma and would be much less expensive. Palo Santo is a tree that grows in and around Ecuador. The local people have used it for centuries, usually to calm the mind and cleanse the spirit. People of today use it for physical, emotional and mental reasons. Palo Santo is a great essential oil to use while meditating as it may aid concentration and enhance learning. This oil may also be helpful with upper respiratory problems, bronchitis, asthma, as well as muscle and joint pain. It should be mentioned that Palo Santo essential oil is a dermal irritant. If you have sensitive skin, take care how you use it. 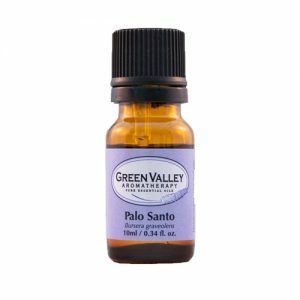 Palo Santo is 15% off in April! Shea Butter is a popular carrier oil. It has been picked up by large corporations, made into various products and has flooded the market. Our supplier was born in Wa which is in northern Ghana. She was aware of the problems in the villages of the area and the desperation of the women who have no support in place if they happen to lose their husband and have no family to support them. 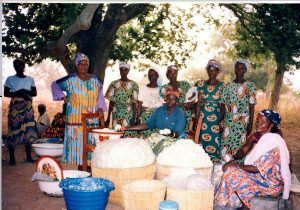 The Tapko Widow’s Group was created to help these women earn a living by harvesting and selling Shea Nut Butter. Everything is done naturally by hand. After the Shea nuts have fallen from the tree, the children help to collect them and the women get to work crushing them. The procedure is not complex, but is labour intensive. They have used this method for centuries and they sing or chat together while they work. Our Shea Butter comes to us in a large, heavy box that we have to unpack into smaller sizes. Everybody loves this job as it is fairly easy to scoop out the Shea Butter and repack into the tubs. It has been said that Shea Butter can reduce dark spots and skin discolouration. I haven’t seen any evidence of this, but I can believe it knowing all of its incredible properties. Being rich in Vitamins A, E & F, it is very nourishing for the skin cells. I started a client on Shea Butter as soon as she found out that she was pregnant. Her partner would massage the Shea onto her tummy area every evening just before bed. They enjoyed the ritual and best of all after the baby was born she had no stretch marks. Shea Butter is 15% off in April 2018! Mix ingredients into a wide mouthed jar and tighten the lid. Let is sit for at least 24 hours. Sprinkle the mixture on to the carpet and leave for 10 minutes. Now you are ready to vacuum and enjoy the aromas rising from the carpet. Did you know that the statue of Liberty had a double duty as a lighthouse between 1886 and 1902? You could see its light 24 miles away. Did you know that Brigette Bardot was one of the first ladies to wear a bikini? At the time it was considered risque. After 1953, all of the young ladies were wearing them.